Looking for a festive and delicious dish to pass around the table this holiday season? Today, we’re sharing a fun twist on the traditional gingersnap cookie that’s layers and layers of fun. This recipe incorporates our brand new Limited Edition Pistachio ice cream and is super easy to make. 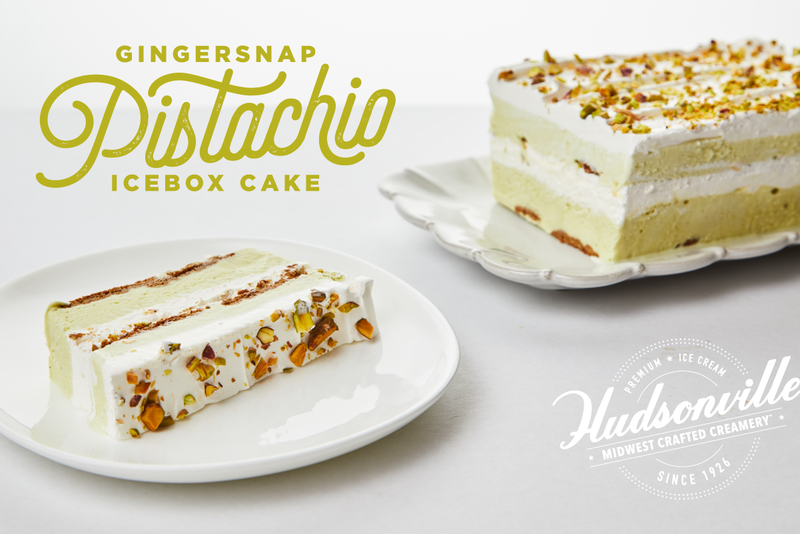 To make this Gingersnap Pistachio Ice Box Cake, simply follow the instructions below. Don’t forget to share your creations with us on social media by tagging us in your pictures! Line a 9-inch loaf pan with wax paper. On the bottom, place gingersnap cookies to form a layer. Follow with a layer of ice cream, a layer of whipped topping, and sprinkle with crushed pistachios. Freeze until firm (about an hour) and then repeat with another layer of cookies, ice cream, topping, and nuts. Repeat until layers reach the top of the pan. Freeze until firm. When you are ready to serve, remove from the pan by pulling up on the wax paper. Place the loaf on a serving tray and slice!